Thank You to The Rotary Club of Attleboro, MA! 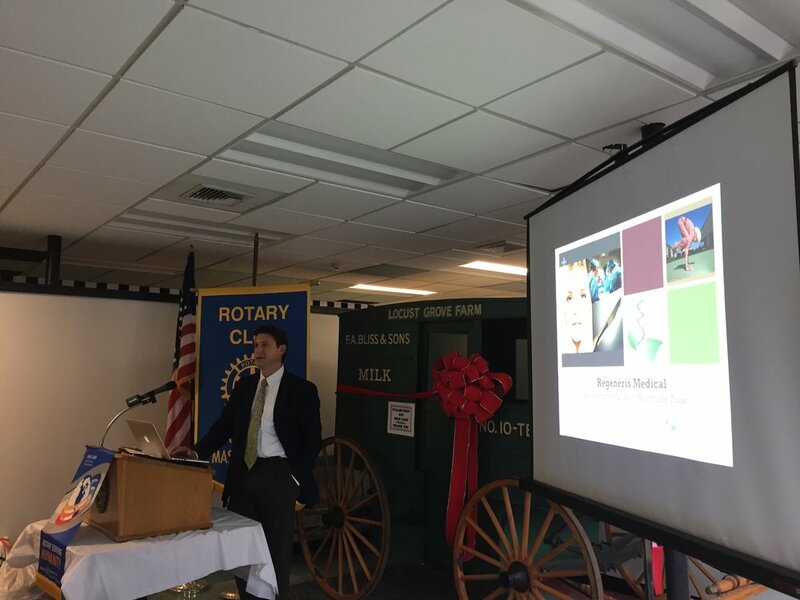 “We want to help everyone become a little younger, and a little more active” Regeneris Medical would like to extend our sincerest thanks to The Rotary Club of Attleboro, Massachusetts (est. 1935) for inviting Dr. Welter to come speak at their luncheon. 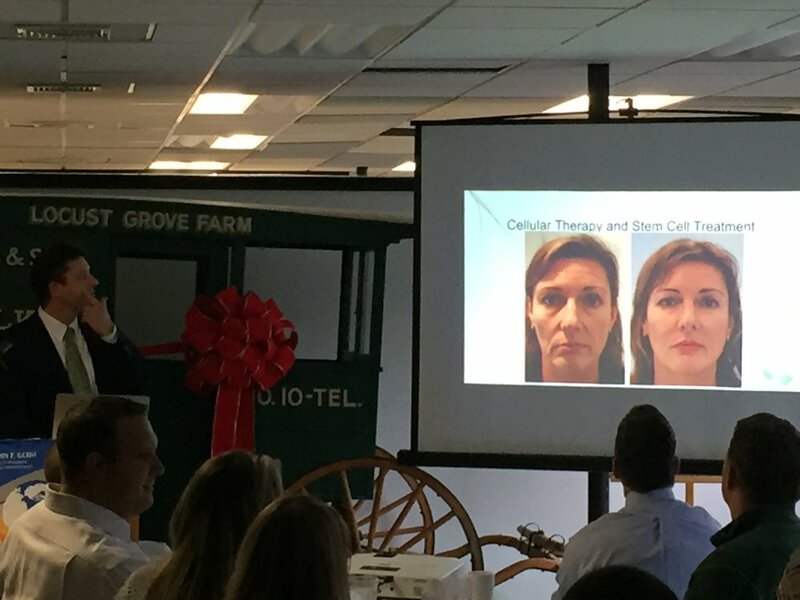 Dr. Welter presented to members about the history of our group, our orthopedic and cosmetic services, the revolutionary technology and procedures we use, and how we believe that offering tomorrow’s healthcare can not only benefit the individual, but also the community. One service line that many people were very engaged with was our ability to treat osteoarthritis of the knee through our medical protocol. At Regeneris Medical, we utilize the anti-inflammatory and healing effects of Stromal Vascular Fraction (SVF, which is rich in mesenchymal stem cells and growth factors) and PRP autologous platelet rich plasma (to optimize the effects of the SVF). The procedure is performed as an outpatient procedure under local anesthesia, and is all done at the time of SVF harvesting and procurement. The harvesting of SVF and the procedure take approximately 5 hours. In terms of the healing period and cost, it is much easier on your body, and costs less than opting for a surgical knee replacement. For more information on the treatment, click here! As we age, we lose facial volume. Fortunately, you can restore lost volume and revitalize your facial appearance with a minimally invasive Regeneris Face Lift procedure that combines fat transfer, PRP and stem cells. In the last 20 years, surgeons have been documenting some long-term benefits found from fat cell transfers, including the ability to maintain volume as well as regenerative evidence. 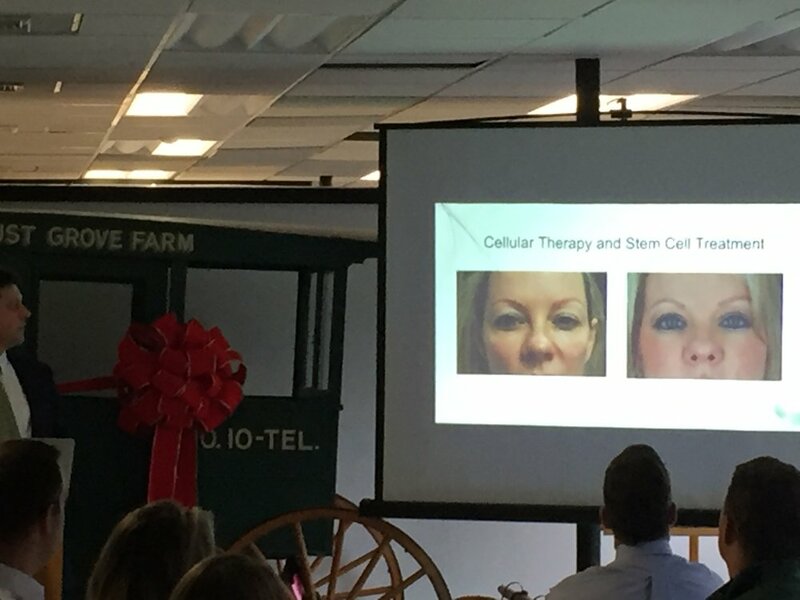 Stem cells certainly have a role to play in regenerative medicine and cosmetic surgery. However, very few surgeons are experienced using Stem Cell + PRP activated fat grafts. At Regeneris Medical we perform SVF/PRP procedures since 2009 for variety of medical and aesthetic conditions. The Regeneris facial is performed in our office. 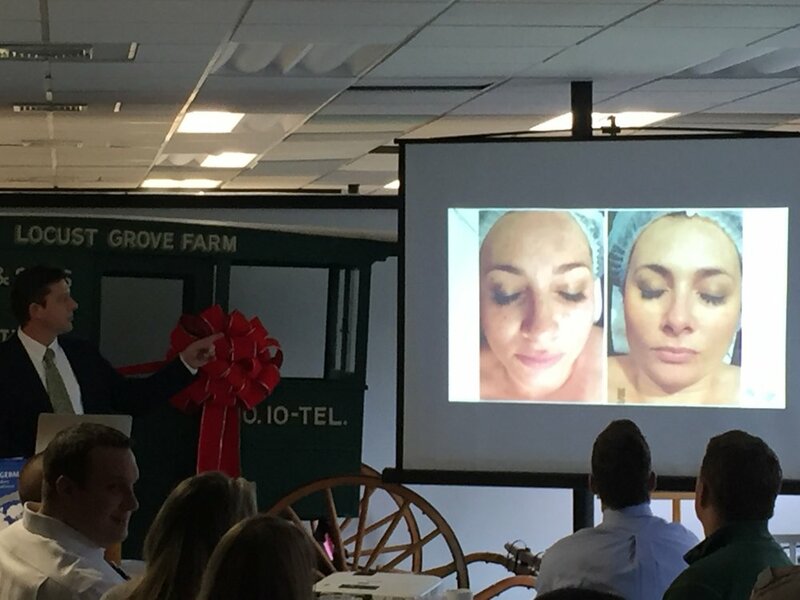 Results are natural, free of incisions, and can be expected to last longer than traditional facial rejuvenation options on the market. 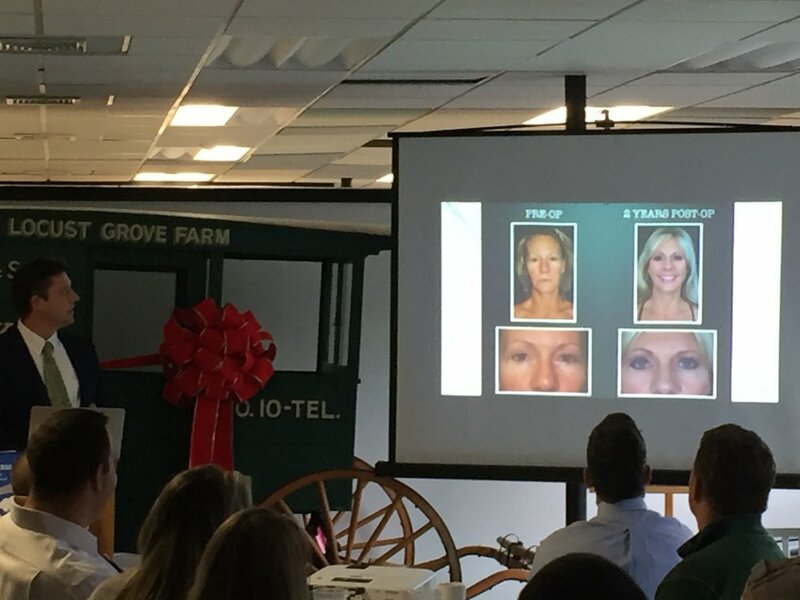 Click here to find out more about the Regeneris Face Lift and our aesthetic procedures. Because hair follicles do contain stem cells, researchers have predicted that we can treat hair loss through an activation of the stem cells progenitor cells. Regeneris Medical has developed a protocol in which we utilize patient's own stem cells to restore hair growth. This therapy is expected to work by activating already existing stem cells on the scalp. For PRP (Platelet Rich Plasma) Therapy, the first step is to simply draw blood. We then spin the blood in a centrifuge and extract the platelets. The next step is to then activate the platelets, add some naturally-occurring growth factors, and return it to your body through a series of pinpoint injections on the scalp. Stromal Vascular Fraction (SVF) is a method used to extract Adult Stem Cells from your own body. Stem cells are your natural healing cells, and act as the repair system in your body by replenishing inactive cellular material. The procedure entails performing a mini-liposuction (around 50 mL of fat tissue) from the belly under local anesthesia. Mesenchymal stem cells are extracted from the tissue, which are then incubated. The result is injected directly into areas of concern. Once these stem cells are administered, they have the ability to repair and re-activate dormant follicles, forming new cells of mesenchymal origin. We use a local anesthetic to numb the scalp, and this can be repeated as many times as necessary to keep the patient comfortable. After the procedure, results can be seen based on the speed at which the patient’s hair grows. You can expect to start seeing a visible difference within 4-6 months. However, improvement continues up to 18 months. Your body has the power to heal itself. Call Regeneris Medical at 1-855-734-3678 to book your consultation today.